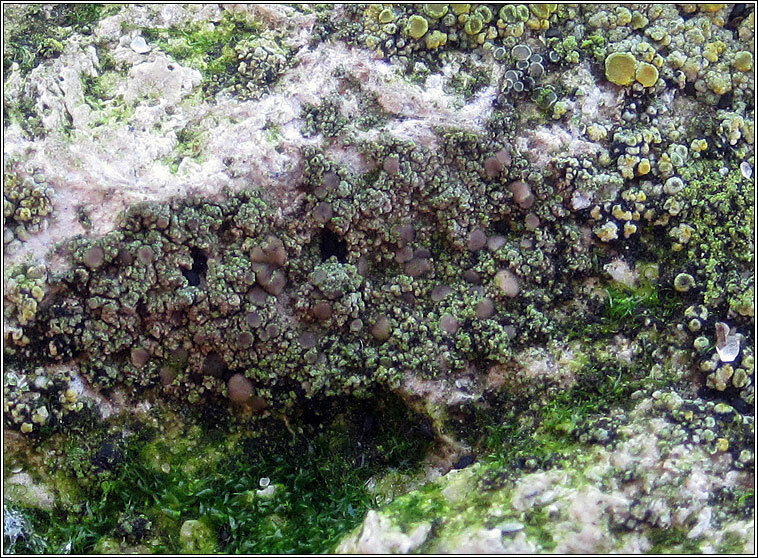 Possibly often over-looked on limestone, ragstone and calcareous rocks. 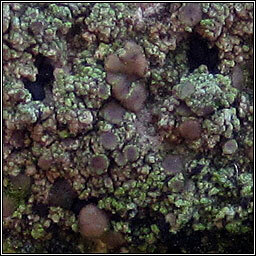 Thick areolate thallus is whitish to grey-brown or greenish, covered with conspicuous scattered nodules. 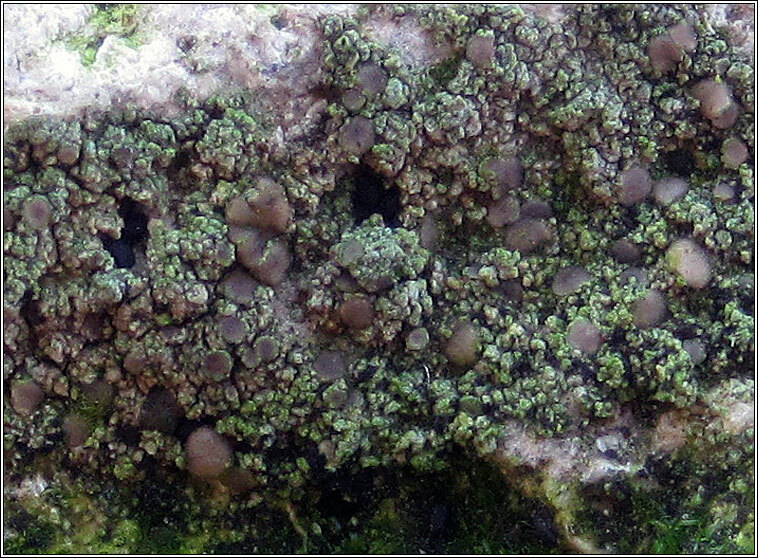 Apothecia orange-brown to blackish, often clustered in small groups, margin +/- swollen. 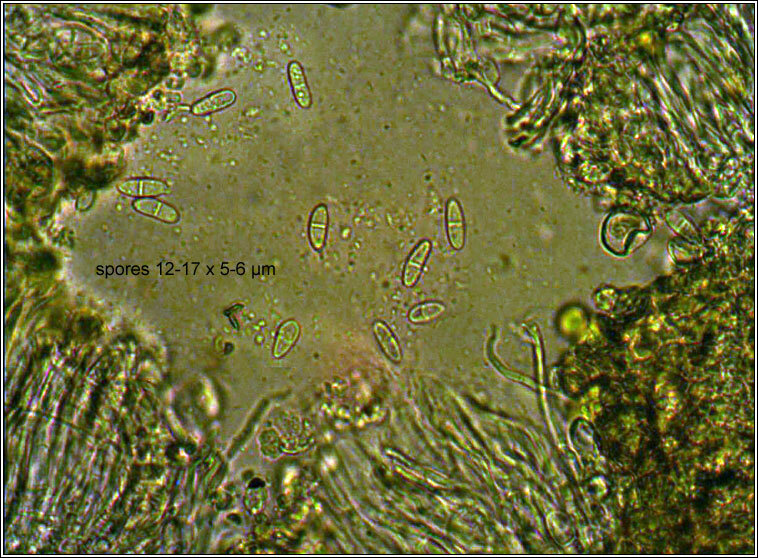 Spores 1-septate, 12-18 × 5.5-6(-7.5) µm. Microscope photograph below.